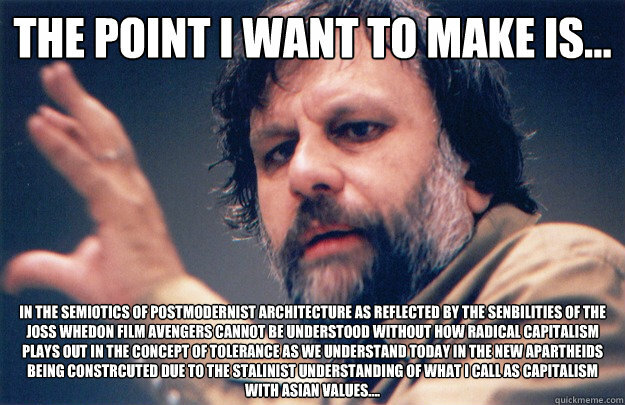 Prominent moist cultural philosopher Slavoj Zizek has been accused of plagiarism. Apparently, the passages stood out because they conveyed meaning clearly. Ha ha.